Drones and Last Mile Delivery Services. The Future? 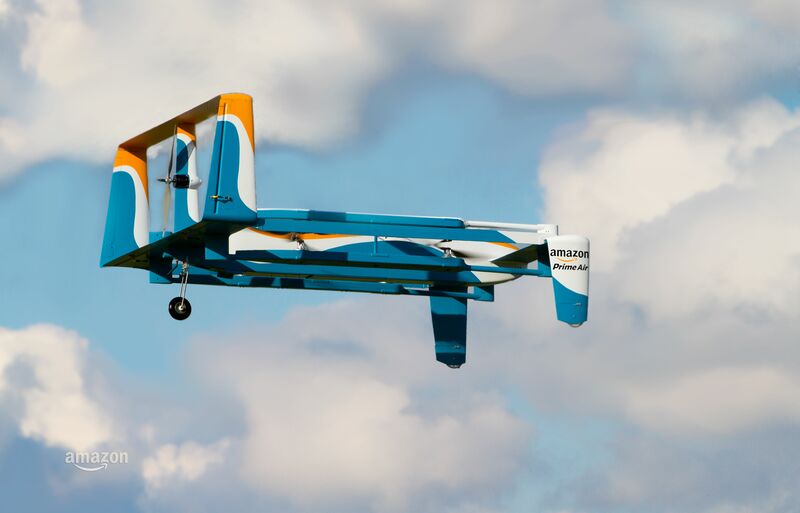 The news about amazon.com’s large deliver drone prototype has recently hit the headlines. So what’s the big deal? Drones for small package delivery is a tantalizing futuristic concept rich with possibilities for last mile delivery in very specific situations and circumstances. The appeal for speed, freeing highways, reducing carbon emissions, and, most of all, customer service will continue to move drones forward, especially for light load packages. We’re a last mile delivery company that services the southeastern US with one-day away or same day delivery of heavy or difficult to ship packages such as furniture, fixtures and equipment. Over the next 20 years, I think drones will impact the small package delivery world. Larger and heavier items will likely stay with last-mile delivery providers such as FASTMILE. PS: Amazon Prime Air’s clever ad featuring Jeremy Clarkson of Top Gears TV show fame adds a delightful touch to this flight of fantasy. I am considering a career at a courier service, and I just wanted to read a little about the future of this industry. It is comforting that you argue about the need for two-person, white glove deliver, and that it is likely here to stay due to the nature of certain packages. Hopefully this will give me some job security down the road if drones come into the picture. Thanks for sharing this! Thank you Kyler – Please reach out to me if I can be of any assistance to you in this industry.